Available in sedan and convertible bodystyles, the Audi A3 combines strong 4-cylinder turbo engines with sporty handling and a comfortable ride, as well as an upscale cabin. AWD is optional. 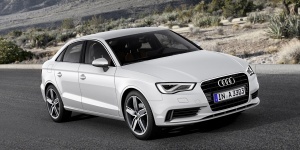 For 2015, the Audi A3 is thoroughly redesigned. Find the used Audi A3 of your choice from a dealer in your area. Search our used car listings now.